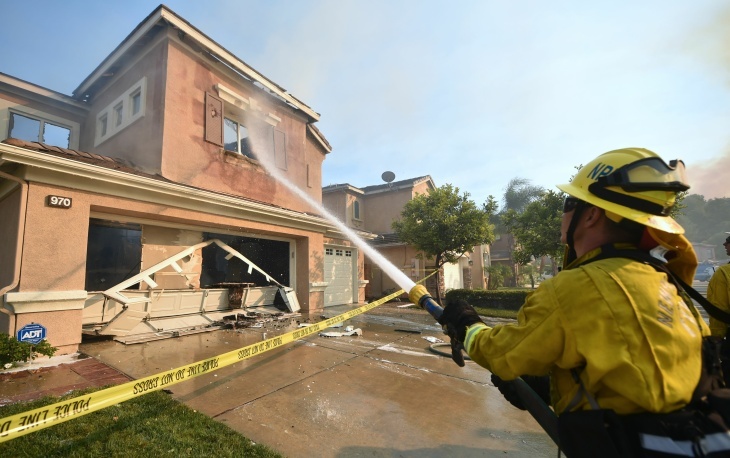 Firemen survey the damage to homes at the Anaheim Hills neighborhood in Anaheim on Oct. 9, 2017, after a fire spread quickly through the area prompting mandatory evacuations and freeway closures. 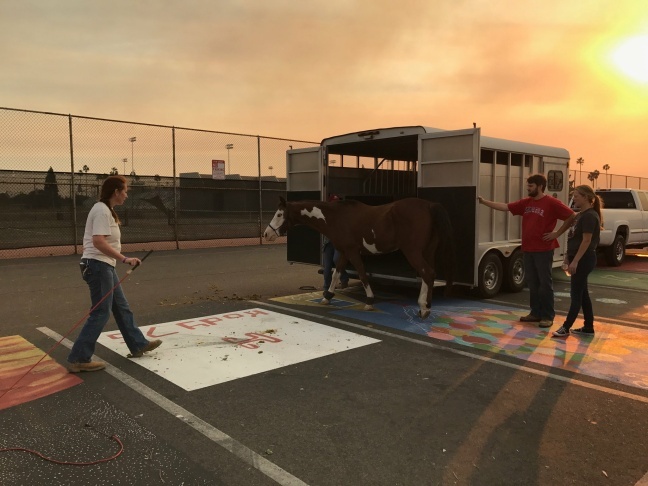 A horse evacuated from Orange Park Acres due to Canyon Fire 2 in Anaheim Hills on Monday, Oct. 9, 2017. The Orange County Fairgrounds and Los Alamitos race track are being used for horse evacuations. A fireman puts out a fire in a home at an Anaheim Hills neighborhood in Anaheim on Oct. 9, 2017, after a fire spread quickly through the area prompting mandatory evacuations and freeway closures. In this image made from a video provided by KABC-TV, a fire burns in the Anaheim Hills area of Anaheim in northern Orange County on Monday, Oct. 9, 2017. 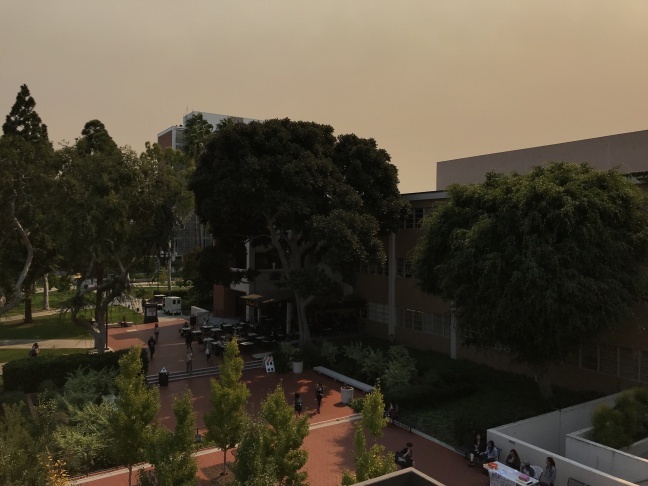 Smoke from Canyon Fire 2 as seen from the Cal State Long Beach campus on Monday, Oct. 9, 2017. A helicopter drops water near homes at the Anaheim Hills neighborhood in Anaheim on Oct. 9, 2017, after a fire spread quickly through the area prompting mandatory evacuations and freeway closures. 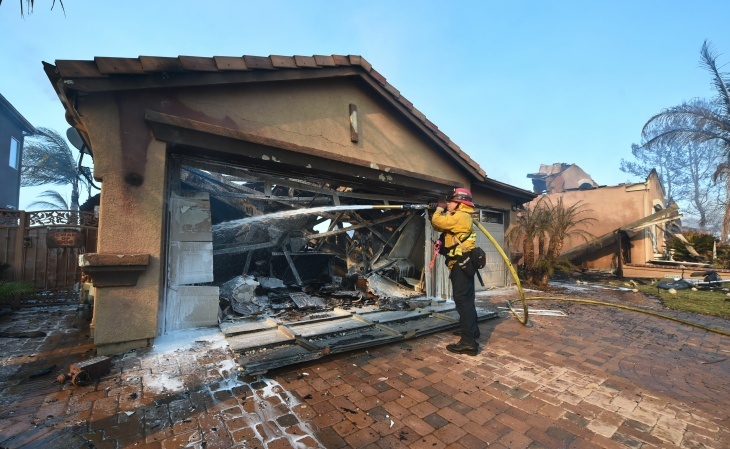 A fireman puts out a fire from a home at an Anaheim Hills neighborhood in Anaheim on Oct. 9, 2017, after a fire spread quickly through the area prompting mandatory evacuations and freeway closures. A large plume of smoke from a brush fire rises over the city of Orange, Calif., on Monday, Oct. 9, 2017. 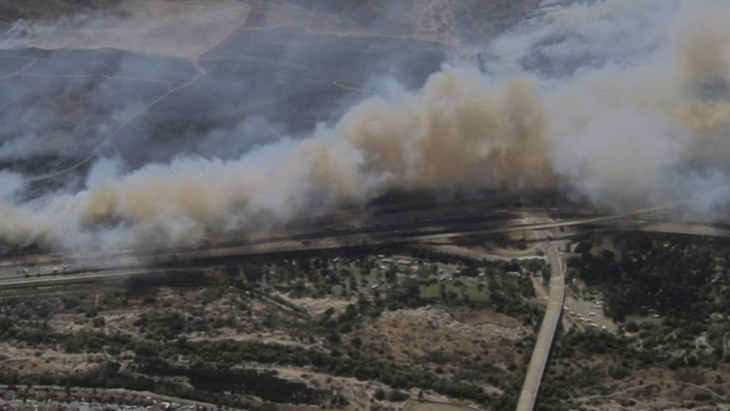 A wildfire has erupted about 45 miles southeast of Los Angeles in the hill country of eastern Orange County. The Anaheim Fire Department said the fire erupted late Monday morning. Firefighters respond to a wind-driven brush fire near the 91 Freeway and 241 toll road on Monday, Oct. 9, 2017. A home in Anaheim Hills seen burning on Monday, Oct. 9, 2017 in Canyon Fire 2. A wind-driven brush fire broke out in Anaheim Hills on Monday, Oct. 9, 2017. This story is now being updated on a different page. Please go here for the latest information on the Canyon Fire. A brush fire that erupted in Anaheim Hills late Monday morning was fueled by strong Santa Ana winds and threatening homes, burning 6,000 acres so far, according to Anaheim Fire and Rescue. 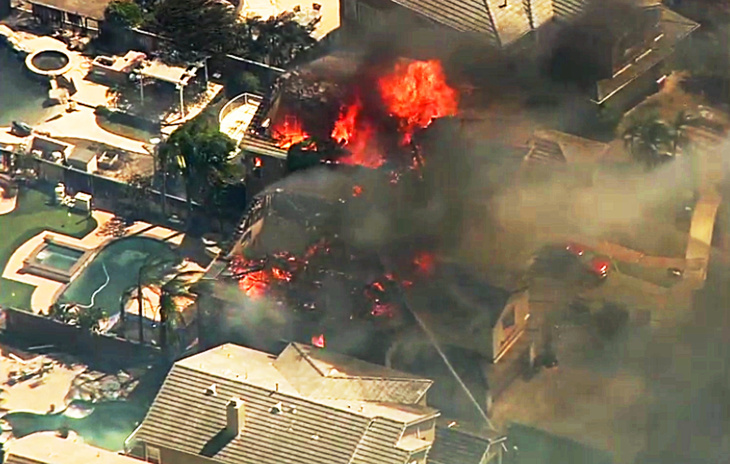 At least 24 homes have destroyed in Anaheim, Orange and Tustin and more have been damaged. Fire officials noted that numbers could change. About 5,000 structures are threatened. Firefighters managed to get the fire 5 percent contained as of 9 p.m. Monday. California Gov. 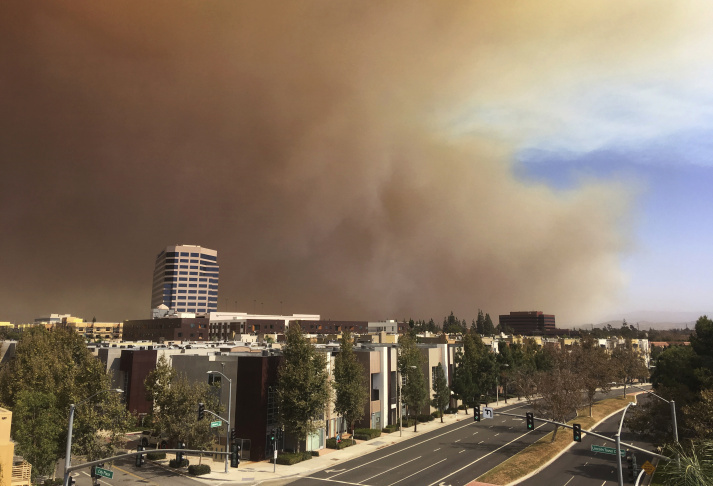 Jerry Brown declared a state of emergency for Orange County on Monday afternoon, along with a number of other California counties facing fires, in addition to emergency declarations issued earlier in the day. There has been one minor injury to a firefighter. See more information from KPCC's Fire Tracker. The fire, labeled the Canyon Fire 2, started near Coal Canyon and the 91 Freeway — near where the Canyon Fire started several weeks ago. 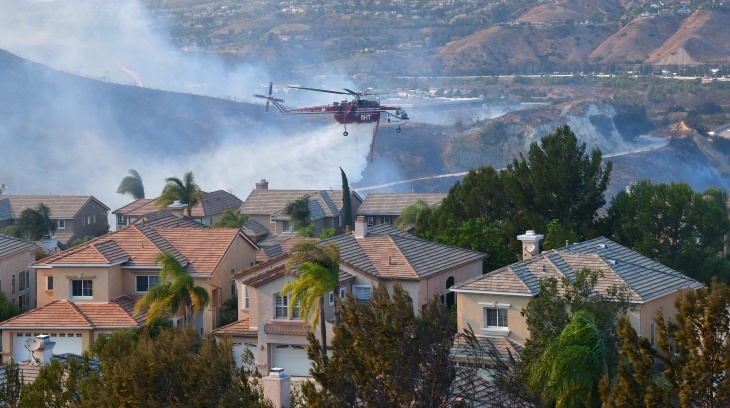 That fire burned east toward Corona, while this fire is burning west toward Anaheim, Anaheim Fire's Daron Wyatt said — at a much higher rate due to high winds, burning in hours the number of acres that the first Canyon Fire took a week to burn. The fire has been driven by winds with gusts up to 40 miles per hour. Strong daytime winds kept firefighters from directly attacking the fire from the air. As winds died down in the evening, helicopters equipped with night vision took off for nighttime water drops. "We're going keep the fight going all night long," said OCFA Captain Larry Kurtz. "There's not going to be a lot of sleep tonight." Low humidity also drove the fire's speed during the day. Humidity was expected to increase slightly overnight, slowing the fire's growth, officials hoped. Air resources were sent to assist firefighters on the ground, drawing water from nearby reservoirs and the lake at a nearby park. There were more than 1,000 firefighters fighting the fire as of Monday night, according to Anaheim Fire and Rescue, more firefighters will be deployed Tuesday morning, officials said. 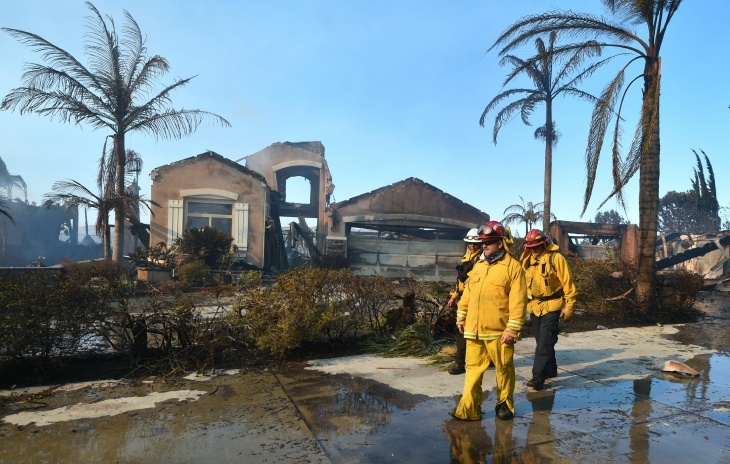 The fire erupted during the fall's first significant blast of Santa Ana winds, the seasonal gusts linked to some of Southern California's worst wildfires. Winds Tuesday were expected to be slightly lower with gusts as high as 25 miles per hour. 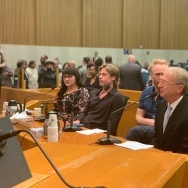 "We're at the mercy of the winds," said Wyatt. 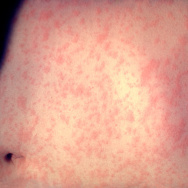 "[They are] very unpredictable. Fire can create its own environment and its own weather pattern." Winds limited firefighters' options Monday. They followed the fire as it moved forward and only directly attack the fire as conditions allowed. Residents are being advised to follow Anaheim Fire on Twitter or to call (714) 765-4333 — residents with questions can call that number for more information. Non-Anaheim residents can call the Orange County hotline at (714) 628-7085. 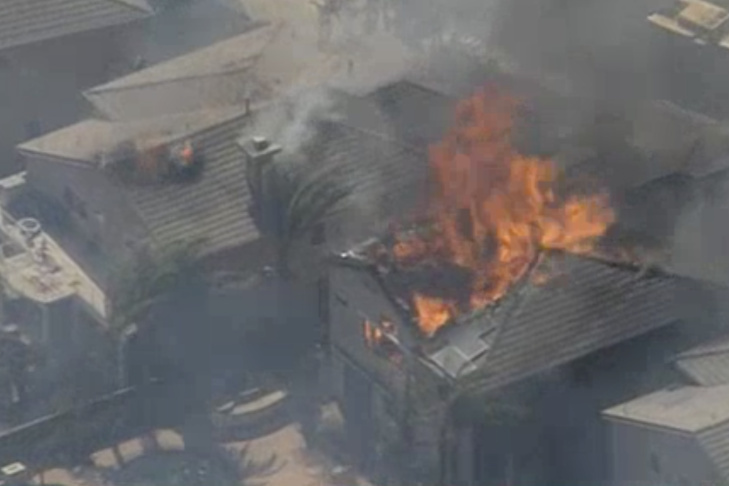 Evacuations also include east Orange, Orange Park Acres and north Tustin, according to Anaheim Fire. Evacuations were extended late Monday afternoon to Chapman and 241 in the city of Orange. 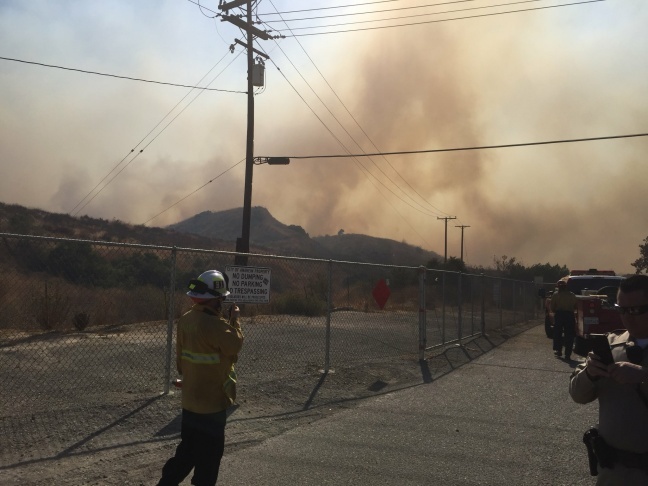 Tustin's mandatory evacuations are for the Tustin Ranch area north of Jamboree and Tustin Ranch, according to Tustin Police. 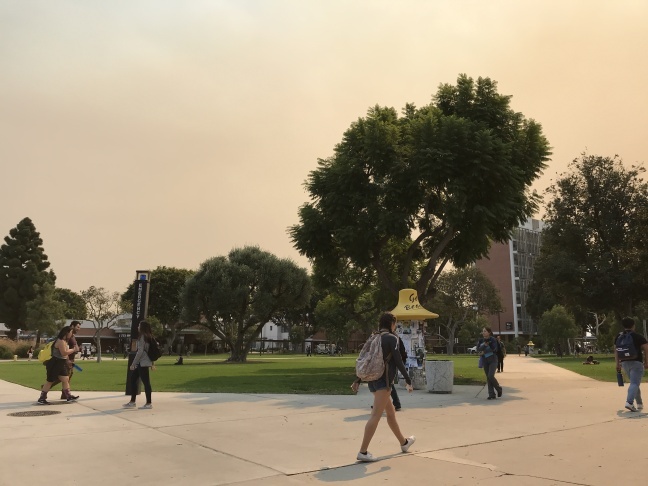 El Modena High School is being used as an overnight Red Cross shelter for Anaheim and Orange residents affected by the fire, according to Anaheim Fire and Rescue. 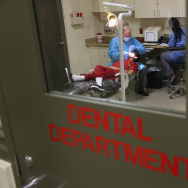 It's located at 3920 East Spring Street in Orange. Katella High School at 22000 E. Wagner Avenue has also been opened as an overnight shelter. 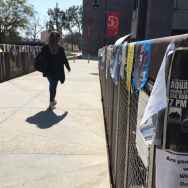 Shelters have been set up at the Downtown Anaheim Community Center, the East Anaheim Community Center and at El Modena High School. If you can't reach your home, you can use the Village at Orange mall on the corner of Meats and Canal as an area to park and wait, according to Anaheim Fire and Rescue. The Orange County Fairgrounds were being used for those needing to evacuate large animals. Students were evacuated earlier in the day to Canyon High School — two elementary schools were evacuated, according to the Associated Press. El Modena High School, which is being used as an evacuation center and a law enforcement command center.